Jane Fonda is still developing a sequel to hit 1980 workplace comedy 9 to 5 that she intends to star in alongside original cast members Lily Tomlin and Dolly Parton. "My role is as an executive producer, and I'm working with the writers, with Lily, and talking to the writers," Fonda said Wednesday at the Television Critics Association panel for her new HBO documentary Jane Fonda in Five Acts. [post_ads]"Right now, Dolly, Lily and I are all intending to be in it," she continued. The original film remains one of the highest-grossing comedies of all time earning an adjusted take of $356 million, noted The Hollywood Reporter. Fonda, Tomlin and Parton starred in the film which tackled sexual harassment in the workplace. Fonda says the sequel will again take place at the office of Consolidated Companies and could expand on the themes presented in the first film along with how technology has affected the workplace. "I'm sorry to say the situation is worse today," she said. "Today a lot of the workforce is hired by an outside company. Who do you talk to if you have a problem?" Fonda, when asked about sexual harassment in the workplace today, stated that she sees the situation improving. "I do think sexual harassment will tend to drop," she said. "Guys are scared." Development on a sequel to 9 to 5 began in 2018 with Rashida Jones being tapped to pen a script along original screenwriter Patricia Resnick. 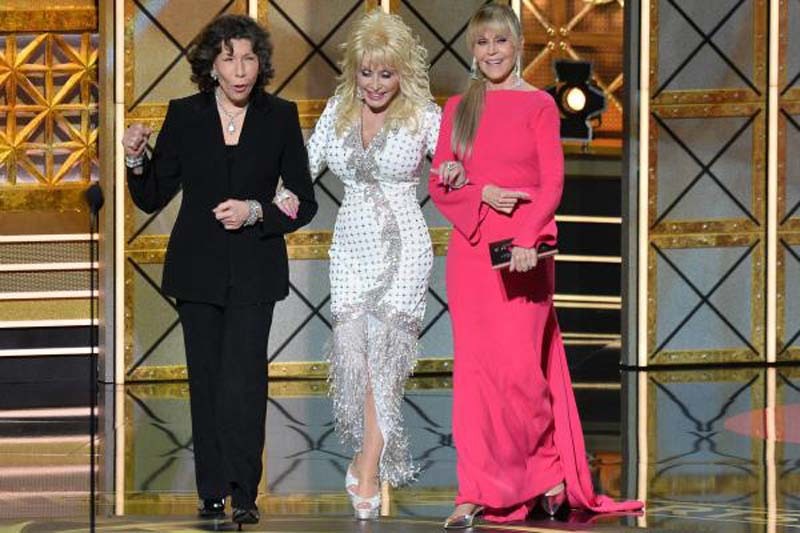 Fonda, Tomlin and Parton has remained friends since starring the first film, with Fonda and Tomlin co-starring together in Netflix comedy series Grace and Frankie.